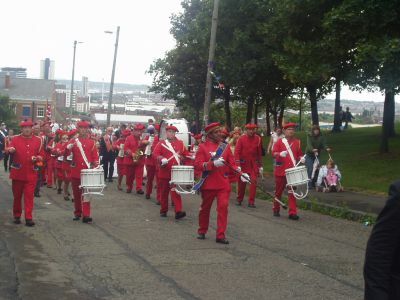 The Royal Arch band was originally a flute band that existed before the Second World War and for a short period after. 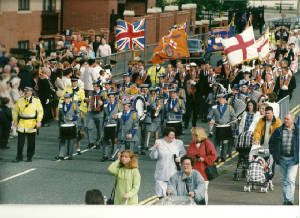 The band was reformed as a concertina band in 1992, to promote the Orange order and encourage new membership for the Royal Arch Lodges. It was founded by five members and walked on its first parade 4 months later on Whit Monday with the help a few guest players. 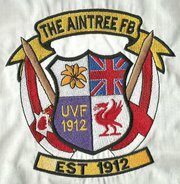 Since then the band has go from strength to strength, and has paraded all over England, Scotland and Ulster. The band practices every Wednesday at the Provincial Club, Everton Road, and new member are always welcome. 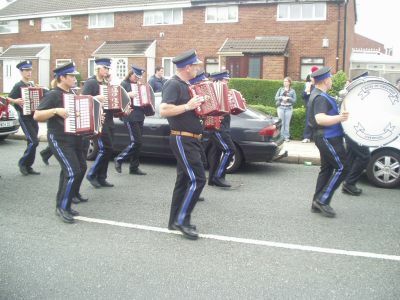 The Pride of Norris Green Band has a history going back to 1924 and is the last surviving band in the Norris Green Area The band was initially a male concertina band but later became a mixed band with the introduction of accordians. We had the honour of being invited to Londonderry in March 2006 to take part in their 17th March Maiden City Festival and hope we can continue to move forward with our younger members who will try and equal the service of our longest serving band member of over 40 years, the band practice on Monday evenings at Liverpool Provincial HQ and new members will be welcomed. 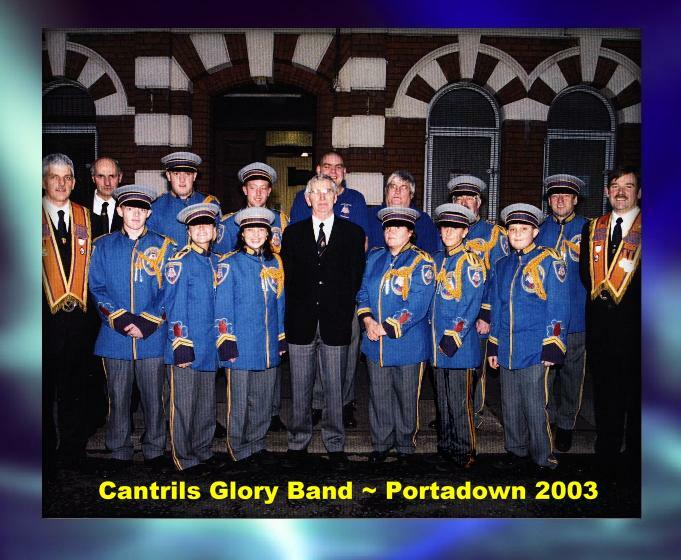 The Band was formed in 2006 hoping we could revitalise the flute band tradition within the LOL and encourage younger members to embrace their culture. The bands name is taken in honour and remembrance of the Blues and Royals who fought at King Williams side and lost many members following the IRA bombing outrage on the 2nd of August 1982. The motto “Nulli Secundus” means “Second to None” and though there are many who may feel this is arrogant, it truly isn’t as members are expected to be the best they can with our culture of excellence, we’re not there by a long way but we will keep trying!Our medium and long term ambition is to establish a band with as great a history as those that have gone before us and proudly display our Liverpool heritage in all parts of the United Kingdom. 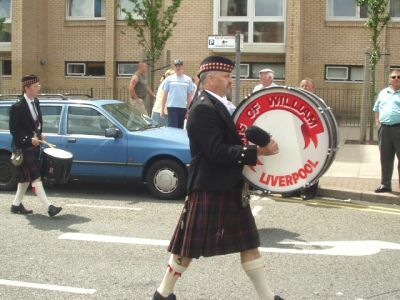 The Everton & District Pipe Band was formed over 100 years ago.The band was then called the Everton & District Pipe & Concertina Band as the band had a couple of ranks of Pipers Concertina players and a full Corps of drummers, on parade the Pipers would play a tune and then the Concertina Players would play a tune, this tradition carried on until the late 1930's.The band has over the years had some well known members within its Ranks, Bro: Joe Allen HDGM who was its Drum Major for many years, Bro: Billy Barrow HDGM who was the Pipe Major and also the District Master of No 2 District for about 20 years,Bro: Albert Hindley HDGM Drum Major and past Deputy Provincial Grand Master of Liverpool. The past Liverpool Provincial Grand Master Bro:W.M.Owens HDGM was a Member of the Band for over 40 years and the Band Secretary for 33 years.
' 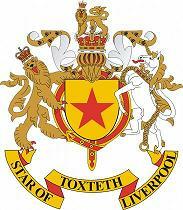 The Star of Toxteth Concertina Band has the distinction of being one of the Orange Institution's oldest bands having been formed in Toxteth Street, Liverpool in 1923. The all male band became part of Number 7 District, Liverpool Province and made its home in The Star Club, Dingle in post second world war years. It later moved to SAMS club before finally settling in the newly completed Orange Hall in 1982. 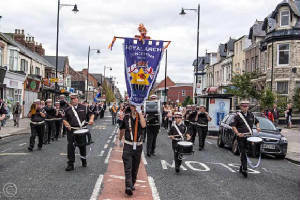 The Star Band has participated in and lead countless District, Provincial and Grand Lodge parades throughout its life and has also marched with the Apprentice Boys of Derry and the Grand Black Chapter. 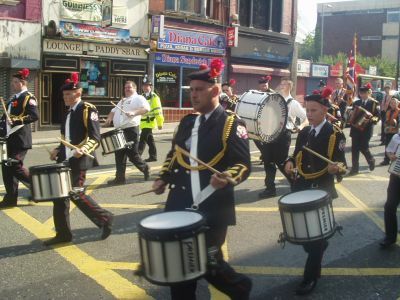 It has travelled to parade and play in many places in England, Scotland and Ulster and along the way has forged its own high tempo style whilst keeping the music contemporary.To this day, practice meetings are held on Friday nights at the Orange Hall and the membership has evolved to allow formerly guest female players to take full membership.The Star Band is proud to serve the Loyal Orange Insitution and look forward to widening its exposure in the Capital of Culture year. " The Sons of william pipe band started around 54 years ago when a lodge was formed (sons of william lol 94. ex-servicemans lodge) and has always been a lodge band. The band back then was a pipe band and soon changed to an accordian band, better known as "the Aurther Rath memorial band", named after a past master of lol94. this band then changed again to a flute band known as "the rath band". 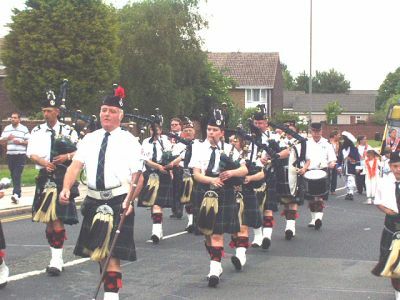 Then followed the split, shortley after the split the band was then formed again to its original status a pipe band "the sons of william pipe band". A full circle of all instruments.. 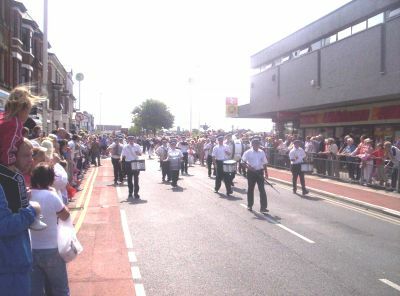 The Rose of England band was re-established in 2000 from the warrant held by The Rose of England Ladies lodge, the band practice in Heald St Orange hall Garston - owned by Garston true Blues LOL64.The band consists of members of both the ladies and mens lodges within Garston and beyond and over the years has paraded with various loyal orders. The band have also had great success over the years and recorded their album “Under the Bridge and beyond” in May 2005. The band was formed 1970, shortly after the formation of the Cantril's Glory Lodges (1969). District on four occasions down the hill at Drumcree.The band looks forward to the future with great confidence.